Jessica brings more than 25 years of sales and marketing experience in the senior living industry to Solutions Advisors. She is a results-driven professional with a strong record in training, developing, and executing marketing and sales programs. She possesses strong management and leadership skills with the ability to motivate professionals and maximize levels of productivity. Her scope of experience extends from communities in development, redevelopment, repositioning and expansion as well as those that have achieved stable occupancy. She has been involved in several start-ups responsible for sales and community outreach and has conducted numerous trainings and presentations. Jessica returns to Solutions Advisors to lead the company in assessing and coaching all aspects of sales and strategic marketing for clients. Most recently, Jessica served as Vice President of Sales and Marketing at Lutheran Social Ministries of NJ leading that organization’s strategic approach for sales and marketing not only for the senior living communities but also the organizations programs and service. Prior to joining LSMNJ, Jessica was Vice President with Solutions Advisors where she worked with various senior living communities across the country to help innovate and bring best practices to the sales and marketing efforts of her clients. 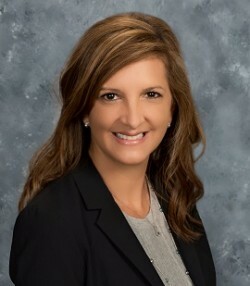 As Vice President of Sales with Springpoint Senior Living, Jessica was responsible for directing the planning and implementation of the sales management and marketing efforts for the company’s six continuing care retirement communities and four assisted living communities, overseeing marketing budgets and occupancy, and providing sales training. As Regional Marketing and Sales Director for Life Care Services, a national manager and developer of senior housing communities, Jessica was responsible for a diverse portfolio of senior communities across the country. As Regional Director of Sales and Marketing for Senior Living Properties, LLC, Jessica was responsible for increasing census and enhancing sales for 16 facilities in Texas. 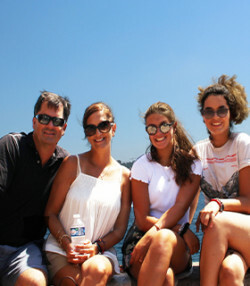 Jessica embraces life traveling abroad and creating lasting memories with her two smart, athletic and beautiful teenage daughters, Francesca and Cristina and her loving husband Ken. She loves animals and enjoys spending time with her rescue dog, Dolce. She gives her time freely and loves trying new things. Food and wine are just a few of the things she loves sharing and discovering.